DMI and Bulldog are at the forefront of the industry. 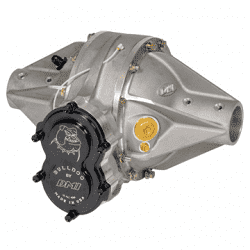 DMI/Bulldog offers reliability and performance second to none. We know that you aren’t figuring out how to go faster if you’re replacing parts. We also know you aren’t making money dropping out of races. We dot every “i” and cross every “t” to try and ensure the parts outperform anything else on the market. We utilize only the highest quality materials, many milled to our specs, to manufacture our components. We hold our suppliers to the highest standards for materials. Our skilled craftsman not only produce the components but are required to double and triple check each component for quality and precision as it goes through the manufacturing process. We want every Made in the USA DMI and Bulldog component to exceed your expectation of quality.